So now that IHD is 1 year old, what can you do to help? Submit a Drill - Share your favorite drills with us. Follow IHD on Twitter - Join the conversation and help spread the drills. Like IHD on Facebook - Share this page with all your friends who love hockey. Join the Forums and share your knowledge. Click on the Sponsor links on the top and right side of the page. Find something you like and buy it. 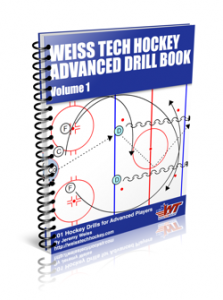 Provide feedback on the drills. If you used the drill and modified it, let us know how you changed it and how it worked out. Provide feedback on the site. What is it missing or what else would you like to see. Share a resource that you use. Let us know what other sites you go to talk or learn hockey. Provide a coaching tip. Not necessarily a drill, but one thing that you think all coaches need to do to be better for their players, parents and the game of hockey. Keep coming back and viewing the site! !